Aerinite: Mineral information, data and localities. According to Rius et al. (2009), the formula of the Fe3+-rich variety includes SO3 (sulphite) substitution for carbonate. From the Greek "aerinos," for sky-blue, alluding to its color. A rare, chemically complex carbonate-bearing silicate. Found as a pigment in European murals. A closely related, darker blue mineral (intergrown with Fe3+-rich aerinite) is described by Rius et al. (2009). As masses of cryptocrystalline fibers; earthy, compact. Quartz 10 photos of Aerinite associated with Quartz on mindat.org. Prehnite 4 photos of Aerinite associated with Prehnite on mindat.org. Scolecite 2 photos of Aerinite associated with Scolecite on mindat.org. von Lasaulx, A. 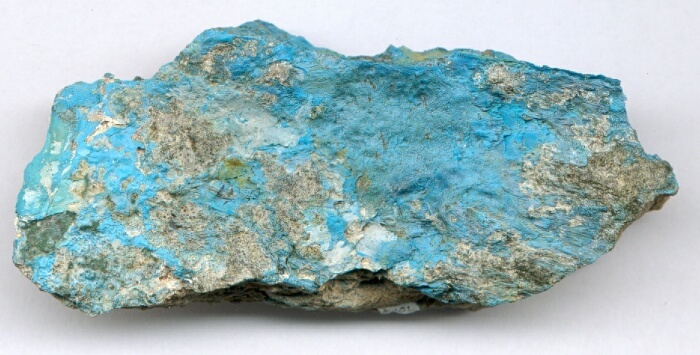 (1876) Aërinit, ein neues Mineral. Neues Jahrbuch für Mineralogie: 175: 352-358. Rafales, J. B., San José, M. L., Juan, A. P., Cuairán, J. B., Amigó, J. M., & Moliner, R. (1985). Nuevos datos mineralógicos sobre un inclasificado aluminosilicato," Aerinita", y consideraciones sobre su atribución al grupo de las Ceolitas. Acta geológica hispánica, 20(3), 257-266. Azambre, B., Monchoux, P. (1988) Précisions minéralogiques sur l'aérinite: nouvelle occurrence à Saint-Pandelon (Landes, France). Bulletin de Minéralogie: 111: 39-47. Grice, J.D. (1988) New mineral names. American Mineralogist: 73: 1498-1499. Rius, J., Plana, F., Queralt, I., Louër, D. (1998) Preliminary structure type determination of the fibrous aluminosilicate “aerinite” from powder X-ray diffraction data. Anales de Química International Edition: 94: 101–106. Jambor, J.L. (1999) New mineral names. American Mineralogist: 84: 1467. Rius, J., Elkaim, E., Torrelles, X. (2004) Structure determination of the blue mineral pigment aerinite from synchrotron powder diffraction data: The solution of an old riddle. European Journal of Mineralogy: 16(1): 127-134. Rius, J., Crespi, A., Roig, A., Melgarejo, J.C. (2009) Crystal structure refinement of Fe3+-rich aerinite from synchrotron powder diffraction and Moessbauer data. European Journal of Mineralogy: 21: 233-240. Rius, J., Crespi, A., Roig, A., & Melgarejo, J. C. (2009). Crystal-structure refinement of Fe3+-rich aerinite from synchrotron powder diffraction and Mossbauer data. European Journal of Mineralogy, 21(1), 233-240.
ⓘ La Juanona Quarry ? Lasaulx, A. v. (1876). 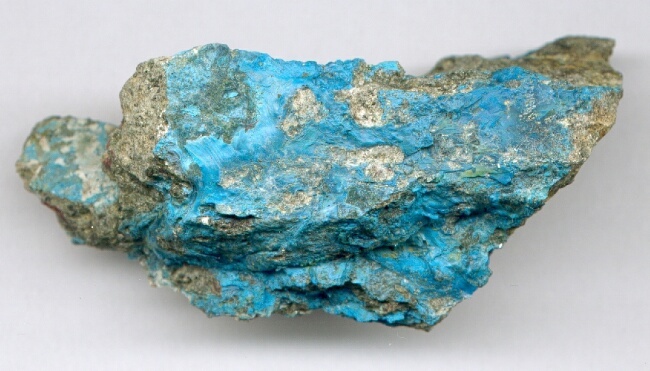 Aërinit, ein neues Mineral. Neues Jahrbuch für Mineralogie, Geologie und Palaeontologie, 352-358 Vidal, M. (1882). Yacimiento de la aerinita. Boletín de la Comisión del Mapa Geológico de España, 9, 113-121. Calvo, M. (2018). Minerales y Minas de España. Vol IX. Silicatos. Escuela Técnica Superior de Ingenieros de Minas de Madrid. Fundación Gómez Pardo. 767 págs. - Calvo, M. (2018). Minas y Minerales de España, Volumen IX. Silicatos. E.T.S. Ingenieros de Minas y Fundación Gómez Pardo (Madrid). 767 pages. Calvo, M. (2008). 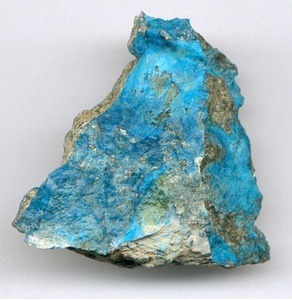 Minerales de Aragón. Prames (Zaragoza) 462 pages; Frost, R. L., Scholz, R., & López, A. (2015). Infrared and Raman spectroscopic characterization of the carbonate bearing silicate mineral aerinite–Implications for the molecular structure. Journal of Molecular Structure, 1097, 1-5. Calvo, M. (2018). Minerales y Minas de España. Vol IX. Silicatos. Escuela Técnica Superior de Ingenieros de Minas de Madrid. Fundación Gómez Pardo. 767 págs. ; Rius, J., Crespi, A., Roig, A., & Melgarejo, J. C. (2009). Crystal-structure refinement of Fe3+-rich aerinite from synchrotron powder diffraction and Mossbauer data. European Journal of Mineralogy, 21(1), 233-240.
ⓘ Los Tenderos quarry (blue quartz occurrence) ?